Powered by WagerLogic software, InterCasino was the first online casino to take a gaming transaction over the web in 1996 making it one of the most trusted casinos on the web. It is licensed by the Lotteries and Gaming Authority of Malta and does not take US bets. The software allows you to access the casino games in two ways. There is the usual menu driven system with the games grouped according to their types such as Classic video slots and Video poker. But you can also access games via the virtual casino floor, you just click on the table and it takes you straight to the game. You play can play five different varieties of Blackjack, from single-deck games to the latest version like Super Fun 21. You can also play and chat with other players at the multiplayer tables. And for all you slot lovers they have some amazing 3, 5 and 9 real Marvel Superhero themed games with great bonus features. InterCasino has over 200 games on offer at their download casino and over 30 on their instant play non download version. One thing that attracts players to this casino is its bonuses. 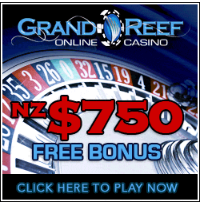 The casino has a unique bonus search tool that allows you to search for the different bonuses being offered each month by the site. At any time of the year the site offers a selection of bonuses for you to choose from. It also offers its players huge jackpot amounts.